A new study suggests that, for memory’s sake, it may be wiser to slow down and smell the roses than rush to a destination using a GPS. Oh no, as a completely addicted Geocacher I’m doomed to have dementia! The studies focused on how people navigate. One method, spatial navigation strategy, forces people to rely on landmarks to build cognitive maps. This is how a lost person stays aware of landmarks or how long it’s been since they left a place in order to find their way. Another, a stimulus-response strategy, is when people use a form of auto-pilot, turning at specific places because they have so many times before. This is similar to using a GPS device. Okay, there maybe some light here. I would argue that GPS use in geocaching was actually more like spatial navigation strategy as we don’t just follow the GPS we have to move around things and work out the best route to the cache. We also have to take note of our surroundings to spot the thing that is out of place – that surely uses spatial navigation. However, urban caching may cause people to jump a little into auto-pilot and thus be stimulus-response. those who used the GPS-like stimulus-response could be at risk of showing atrophy of the hippocampus, which is of concern because memory loss including Alzheimer’s disease affects that area of the brain first. 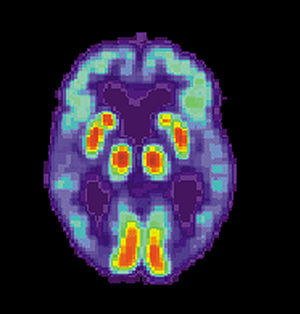 MSNBC.com said older adults who used spatial strategies more have a larger hippocampus and scored higher on a test used to help diagnose mild cognitive impairment, a precursor to Alzheimer’s disease. As a female who admits to previously having my gender’s stereotypically poor spatial skills, I’d like to vouch for geocaching’s cranial stimulation. My maths is still shocking but I’m 100 per cent better with distances and navigational calculations. I do find that GPS, detrimental to my mental health or not, has allowed me to appreciate the scenery more now that I don’t have to worry about how I’m going to get there. I notice more around me without the focus being on the destination. I am also more aware of what is going on around me on the road and that’s never a bad thing.